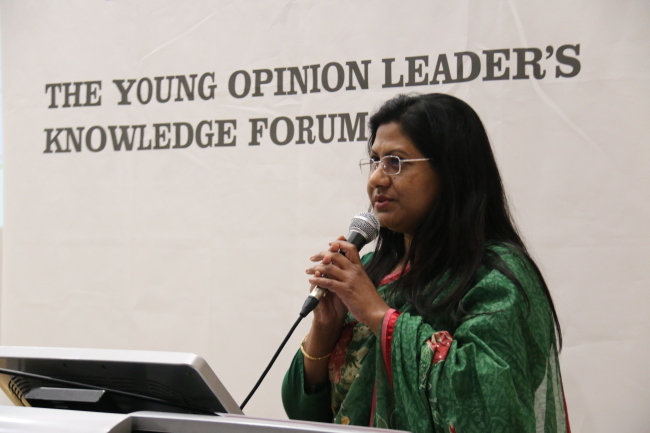 The Korea Herald Young Diplomats Academy and the Young Opinion Leaders’ Knowledge Forum -- youth camps tailored for interaction with foreign diplomats, business leaders and renowned scholars -- have inspired future generations of leaders. 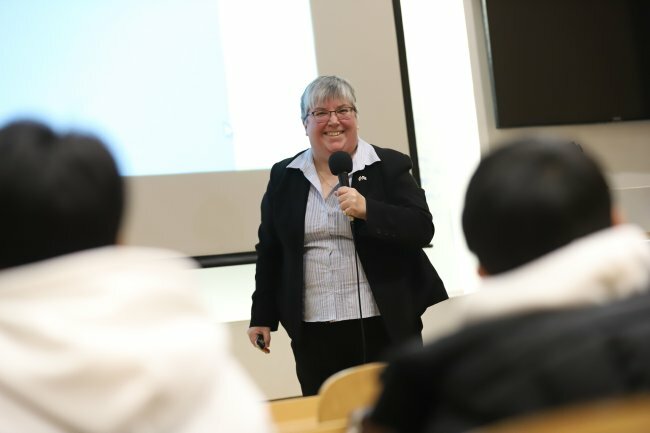 The event at Yonsei International Campus in Songdo, Incheon, from Jan. 25-27 attracted over 100 students from the country’s elementary, middle and high schools, providing a platform for differentiated learning, discussion and communication in English. For the annual event, Bangladesh Ambassador to Korea Abida Islam and British Embassy Political Secretary Kim Gould MBE shared their experiences as diplomats, including challenges and accomplishments in solving global issues for their countries and the world. Under the theme of “Empowerment of Women,” Bangladesh’s top envoy introduced the country’s improvement of women’s rights through educational opportunities and social safety net programs that reach out to rural and marginalized women. She highlighted the Bangladesh government’s strengthened policy support for female entrepreneurs, under Sheikh Hasina, the four-time prime minister of the country. She said the government is committed to ensuring access to financing for female entrepreneurs with loans for small and medium enterprises. Banks are bound to disburse 10 percent loans for female entrepreneurs in the SME category, and female entrepreneurs are offered collateral free bank loans with 5 percent service charge. “Every society in the world, women are given certain responsibility. However, this traditional role has been changed already,” she said. Another speaker, Kim Gould MBE, told students about her career transformation from a British army soldier to envoy. “Past experience working in places where electricity and water were absent helped me when I was working in Pyongyang, where social infrastructure lags behind the times,” she said. Prior to joining the British Embassy in Korea in 2018, she served as a deputy head of mission at the embassy in North Korea for three years. She was captivated by the fact that diplomats work to build relations through “a pen and conversation,” not weapons, though it required patience to persuade and convince people over a wide range of issues.